Your brand new website has a name, a home, and an awesome theme. Now we get to the best part; truly making your site your own. In this post, we’ll go over some basic points on how to customize your new site. Before starting, I would recommend talking to a developer. 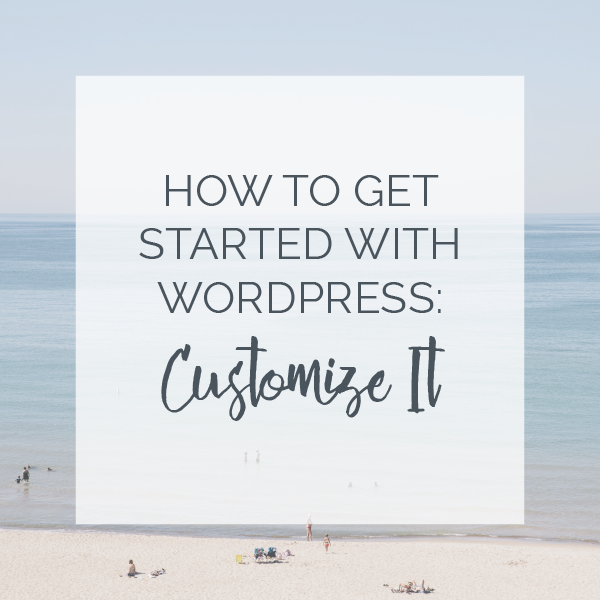 This will help you determine whether you will need a child theme, any custom code, or whether the design you have in mind is within the bounds of your chosen theme without any custom changes. A child theme is a WordPress theme that mimics or inherits all of the functions of another theme. Which basically means it takes the theme that you’ve already chosen and duplicates it in a way that allows you to make any new changes without harming the original theme file. These are often used whenever you are adding any custom code or taking out certain elements. It also saves you from losing any customizations when your theme needs to be updated. 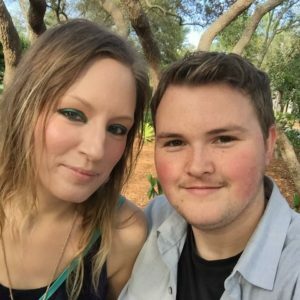 Your child theme is saved on your server under your domain. A developer (like us) can help you with creating and editing one. Warning: Do not attempt to edit the theme files without using a child theme. Any editing could cause a number of errors as well as lose any changes whenever the theme is updated. First, we’ll navigate to the ‘Theme Customizer’. Once you’ve signed into WordPress, you will be taken to your dashboard. From here you will scroll to ‘Appearance’ on the sidebar, then select ‘Customize’. 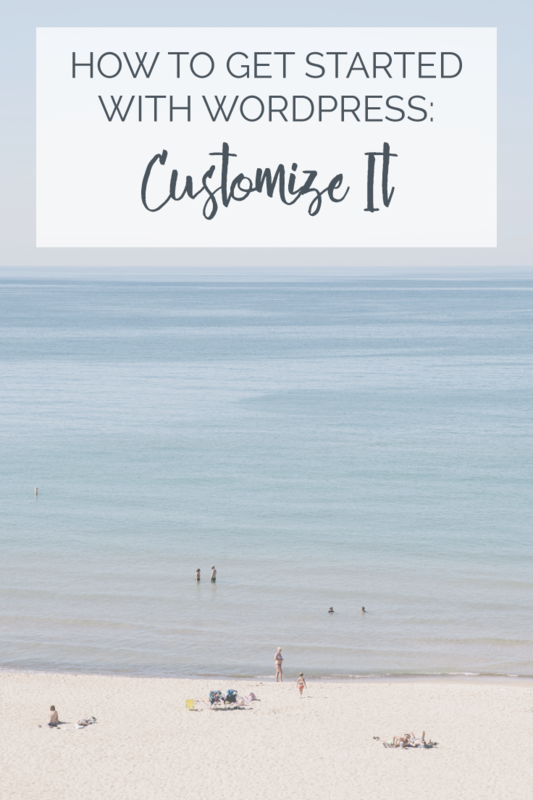 This will bring you to the live customizer that is specific to your theme (here you will see all of the options available in your theme for customization). This screen will be different for each theme, which means depending on the theme there may be more or fewer options (we’ll go over some of the basic options allowed by most themes). On the top of your screen, it will tell you the theme you’re currently customizing, as well as several categories. Once selected, some of these options will display other sub-categories. This menu lets you set up your basic site information. This will contain your logo image, your site title, site tagline, as well as your site favicon. Just remember that your site title will be displayed in the browser tab, so the more short, but specific the better. Under this category, you will be able to customize the main colors for your website. From choosing a color scheme to specifying the background color, this is one of the more visual categories that you will be able to customize. This category is optional; it gives you the ability to set an image to appear as the header for your site. You can also choose to hide the header image and simply show a background color behind your menu. Here you can choose an image to appear as the background of your site. You can also choose to set the image as a solid color. Once you’ve selected an image it will display more options for better customization. There are also options to repeat the background, which means if it is a small image or a larger area the background image will maintain its original quality and duplicate/repeat itself within the header. You will also be able to choose whether you want the background image to stay in place (fixed) or whether you want it to scroll with the site. In this category, you can determine where you would like your menu to display, as well as which menu appears where. You can have a traditional navigation menu, a footer menu, or sub-menus. This may vary depending on the theme, and depends on how you would like your site to look and how easy you’d like it to be for visitors to navigate your site. To created additional menus you will need to go back to your dashboard, then ‘Appearance’ and select ‘Menus’. These cannot be created within the customizer screen. Widgets are small blocks with specific functions that can be downloaded with plugins. They can help add some really great features to your site. Most themes have at least 1 or 2 sidebars (sidebars are narrow columns on the sides of your blog posts), and the sections that make up the sidebar are widgets. On this screen, you can configure the widget locations and arrange them within the sidebars. But, you can’t add them within this screen (you have to go to the ‘Widgets’ page under ‘Appearance’ on your Dashboard menu). Configuring these widgets allows you to change several different options, including the title, drop down selections, and other widget-specific options. This category allows you to choose which page you would like your users to be directed to upon entering your site. You can choose to have it be your latest posts or another page that you have created, such as the home or about page. These seven categories will provide a good starting point to make your design vision a reality. Once you jump in and start seeing how powerful the right theme is with the tools provided by WordPress, you will be ready for more. If some of these seem a little daunting, or you’re unable to achieve the exact design you’re going for, let us know. We can help you, no matter the size of the project! Next week we’ll be talking about going live with your WordPress website, and don’t forget to check out the other posts in our series, How to Get Started with WordPress.